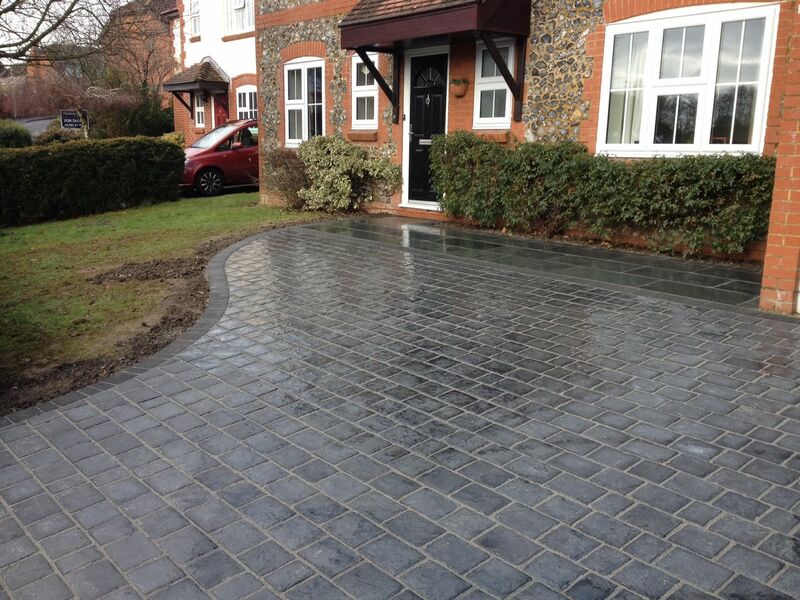 Mr and Mrs Monkhouse had a crumbling, old driveway that was too small for their needs and so, after deciding they needed a more practical and attractive area, they contacted Aura Landscapes. They had a few ideas of what sort of thing they wanted and things they didn’t like – they knew for example, that they didn’t want the drive coming straight up to their front door. They discussed their ideas with Mike who went away and came back with a few suggestions for them to decide between. Being extremely pleased with these ideas, they decided on a design that incorporated their vision to have a driveway that didn’t come all the way up to their house. 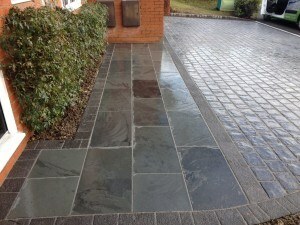 Mike had designed a driveway that used slate to break up a full driveway – and to give an attractive focal feature just outside their front door. Rob and Marilyn are so pleased with their driveway and have had so many positive comments from passers-by and are proud to recommend Aura Landscapes to their friends and family. They are so pleased with it they are out there constantly sweeping up to keep it looking perfect. Mrs Monkhouse tells us “I sweep the driveway more than I hoover the house!”. Mr and Mrs Monkhouse’s driveway was laid using Marshalls Drivesys Split Stone and edged in Marshalls Argent Graphite and Dark Casarta Slate! 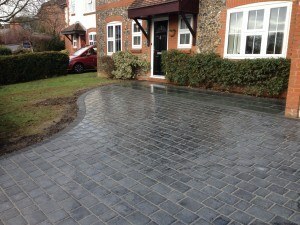 If you would like further information regarding this driveway, feel free to get in touch with us! Email paula@auralandscapes.co.uk or call 02380 434 231.